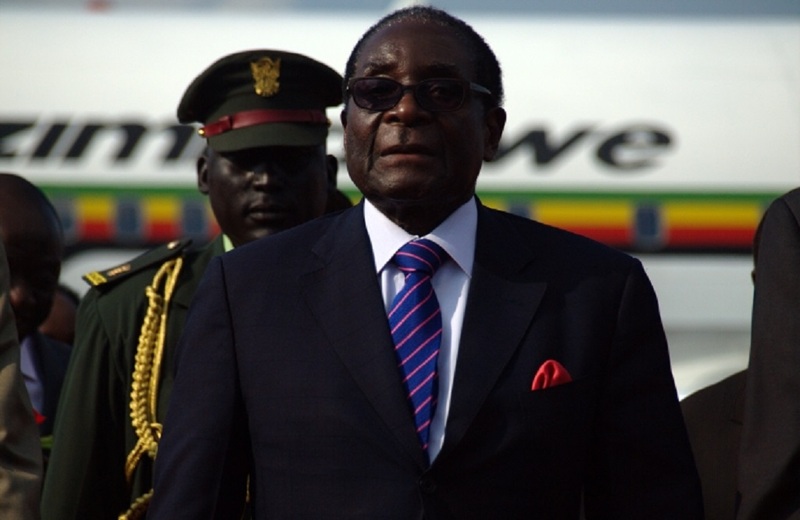 With the not-coup unfolding in Zimbabwe this week as troops and tanks started appearing on the streets of the capital, after close to four contentious decades at the helm of Zimbabwe’s government and now at the age of 93, Robert Mugabe’s fierce grip on power has finally slipped. Yet while events are moving relatively fast – and relatively peacefully so far – the form that the now-inevitable ‘end’ of the Mugabe era actually takes, is not fully clear. As of late Thursday afternoon on the second day of what the army is terming a ‘realignment’, Zimbabweans, and observers everywhere, are suspended in anticipation, waiting to see what the actual end, and a new beginning, will look like. So far, there has been no visible act of resignation or otherwise by Mugabe, and no clarity about what kinds of ‘talks’ are afoot among the key parties, either with or without the involvement of SADCC (the regional body’s) envoys. Mugabe is reportedly insisting that he should sit out his full term of office, a demand that perhaps reflects that not only his grip on power but on reality has slipped. Or perhaps it is his last and only tactical card, since without a voluntary resignation it will be hard for an enforced step-down to be classified as anything but a coup, something the African Union (though few others) has clearly stated its objection to. Certainly maintaining regional and international credibility is crucial to any new dispensation. Yet having taken things this far, it’s hard to see why the military commanders at the forefront of current events – and those significant figures behind the scenes, not least ousted former Vice President Emmerson Mnangagwa – would entirely reject the coup option. In the meantime, the main opposition leader Morgan Tsvangirai in turn has insisted that Mugabe resign immediately and that a “transitional mechanism” be put in place that ensures both inclusion of all national stakeholders and crucial electoral forms that would facilitate free and fair elections. One assumes this is the view of most of the growing number of Mugabe’s political opponents, but they have not been featured much in media reporting so far and even Tsvangirai’s press appearance seems like a side-show to the main drama. The focus remains predominantly on the army takeover and the question of Mugabe’s immediate replacement. This is after all essentially about struggles within ‘the party’ (Zanu PF) itself over imminent succession and expectations of longer term leadership of the country as a whole, not the result of either a popular uprising or wider negotiated democratic settlement. Although the succession battles in Zanu PF have been raging for years, Mugabe has persistently found ways to sustain the internal impasse and hold the centre together on his own terms, albeit at an unbearable price for the country as a whole. Yet the over-stretched political ambitions of Mugabe’s wife, Grace, and his clear backing for her and a ‘younger’ faction of the party overtly supported by the party’s Youth League, rather than for the ‘old guard’ faction grounded in liberation-war credentials led by Emmerson Mnangagwa, seem to have finally back-fired. While Grace Mugabe’s whereabouts are currently unknown, Mugabe himself remains under house arrest, but not yet pacified. His shrewd refusal to resign, thus far, alongside the few images released of him calmly meeting not only South African government envoys but also the head of the army leading the not-coup, continues to hold everyone in suspense. Playing both the constitutional card and the cultural card of age and respect, is keeping him at least momentarily still in the driver’s seat, but hopefully not for much longer. But what of the impending political and economic future of Zimbabwe? In whose hands would a brighter tomorrow for a ‘realigned’ Zimbabwe feel, or indeed be, safe? Mnangagwa’s written statement when fired last week and just prior to leaving the country for fear of his life, was strikingly conciliatory in terms of promoting an inclusive nation-building project. Even the more revolutionary language of former war veterans, previously fiercely against anyone not in the ruling party but now directly opposing Mugabe, has hinted at a new and changed vision of a Zimbabwe for all. One can only hope that these are convincing shifts towards political openness. As for the once widely supported but increasingly fragmented and discredited opposition, it’s hard to know what kind of role they will play in the desperately needed rebuilding process. No matter what, crucial to any meaningful change is what ordinary Zimbabweans want. Currently “quietly overwhelmed”, as BBC journalist Andrew Harding today described the popular mood, Zimbabweans appear to be experiencing a mix of disbelief and hope for change albeit in a spirit of well-learned caution given the familiar dangers of assuming too much. Yet in all this uncertainty one thing is clear: the majority are unquestionably keen for (both) Mugabe(s) to go. Visiting researcher at CEI-IUL. PhD in International Development Studies. Research interests: southern Africa (Zimbabwe and Mozambique); combine political economy and cultural politics approaches, and the use of ethnography among other methods, to understand the dynamics and spaces of social, economic, political and physical exclusion/inclusion in both agrarian and urban settings, at smaller and larger scales.